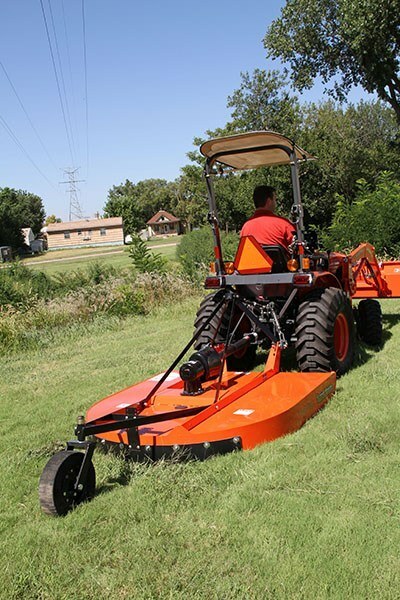 The RCR12 Series is an economically-priced Rotary Cutter, capable of cutting 1 in. diameter material and is ideal for daily use in small lots and hobby farm grass maintenance. The new 42 in. is the perfect size for BX & Narrow B Tractors. 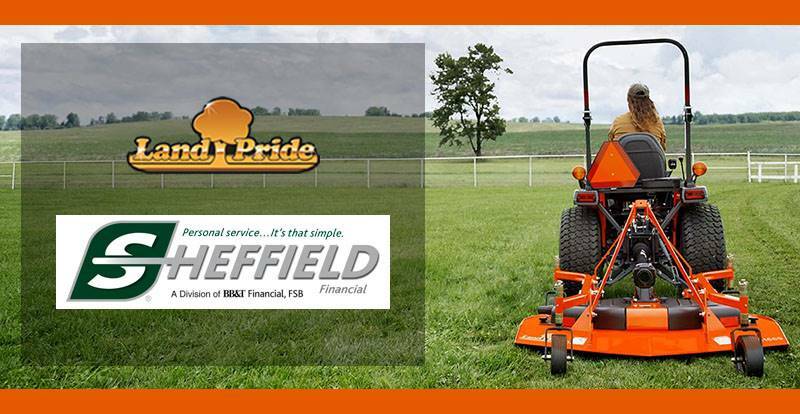 These cutters offer fast, clean, dependable mowing and have been extensively tested to ensure operating safety. High blade tip speeds assure a clean cut in a variety of field conditions. The standard stump jumper slides over stumps, rocks and debris and safety guards protect you and your property. CAT. 3 DRIVELINE WITH 2-PLATE SLIP-CLUTCH: Slip-clutch driveline offers convenience for continual work. FLOATING TOP LINK: Provides for easy hook-up. Permits deck to follow the terrain for an even cut. Two hole position to allow greater lift leverage for smaller tractors. 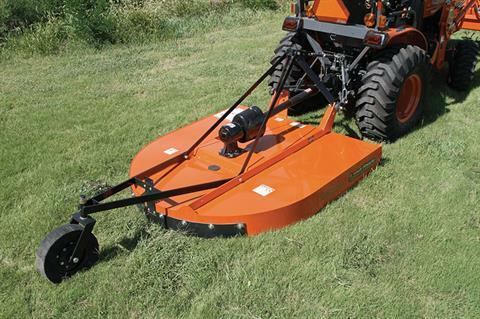 ROUND BACK DESIGN: Helps discharge grass better than enclosed or partially enclosed cutters. 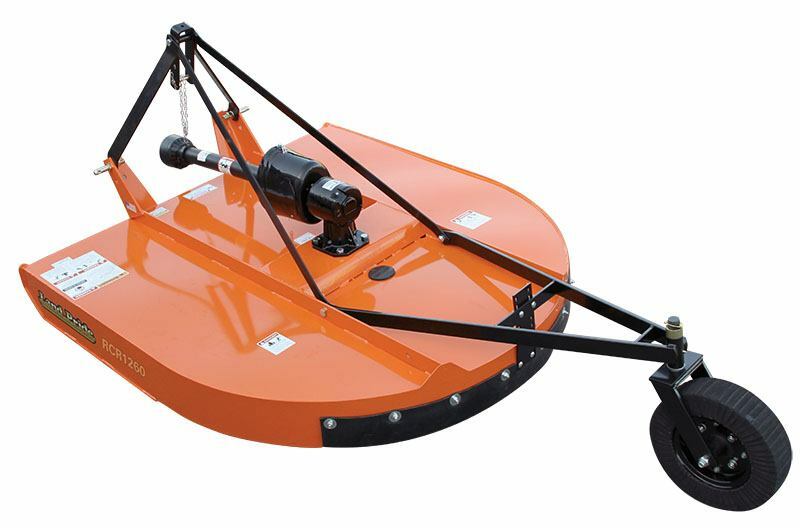 SPLINED BLADE BAR HUB: Allows for tight positive fit of stump jumper and blade bar to gearbox output shaft. HEAVY-DUTY SPINDLE ON TAILWHEEL: 1 1/4 in. spindle gives the strength to protect tailwheel assembly. 1 1/4 - 10 in. Deck - 7 1/4 in. (2) 1/2 x 3 in. Round pan 10 ga. x 24 in.